Inhabits the rocky slopes and limestone cliffs of northeastern Mexico. Variable in appearance with a stocky trunk which can sometimes be found to be clustering. Compact canopy with stiff, bright green to bluish leaves. It can handle drought and heavy frost. 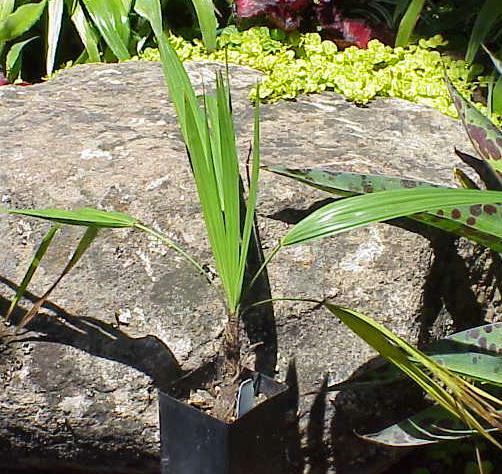 Plant in full sun with excellent drainage which is especially necessary for the rainy season in Northern California.